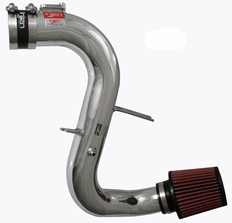 2000-2003 Toyota Celica GT Injen Cold Air Intake5brettAugust 11, 2010i am a first time buyer of this company and i can honestly say that i will do more busines through them. i had no problems with ordering or with the product its self. everything was packaged well and delivered when they said. Thank you. the only thing i wish after spending all that money that i had a nice sticker in the package:) but its all good. The part number on this item is RD2037P (or RD2037BLK) and it fits 2000-2003 Toyota Celica GT models.